When you are homeschooling a child with variable cognitive impairment due to chronic illness, it is essential to have a variety of learning tools available in order to continue lessons on less than perfect days. Recently we discovered Standard Deviants Accelerate and their wide variety of Homeschool Courses. 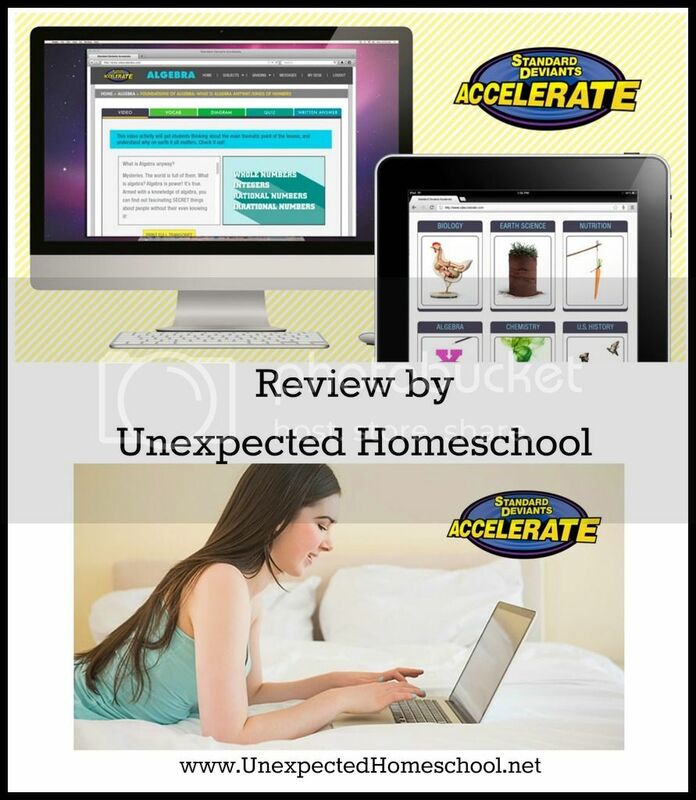 For the purpose of this review we were generously given access to all of the Homeschool Courses on their website for an entire year! The Standard Deviants Accelerate (SDA) Homeschool Courses are numerous and range from third grade and up in suitability. Each course is divided into chapters with links to the individual lessons / topics in each chapter. The last lesson of every chapter is a chapter review to ensure understanding before proceeding further into the course. The lessons begin with video instructions, but the full transcript is visible during the video making it easy to follow along. However, SDA is not just passive video lessons! 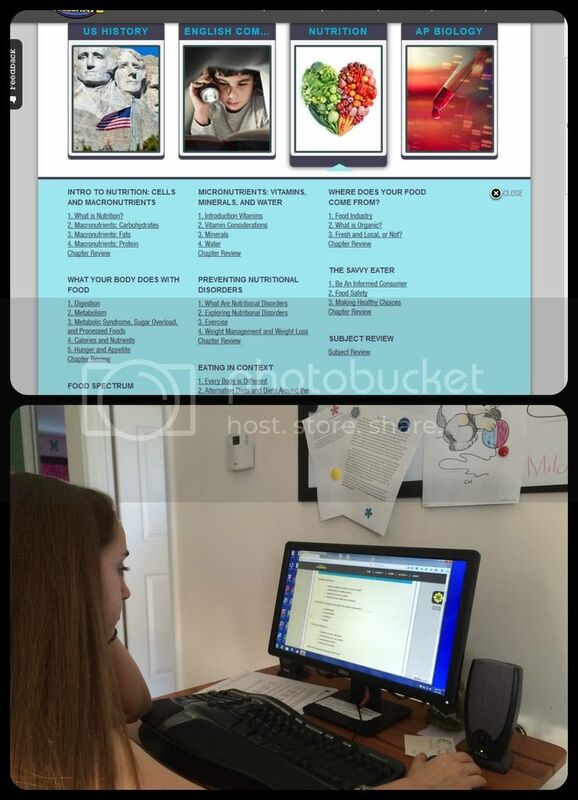 Vocabulary, Diagrams, Quizes, and Written Answers are all part of each lesson and accessed through tabs across the lesson screen. SDA immediately grades all quizzes for the students and lets them retake any quiz they desire. The written answer sections are sent on to the associated teacher account for review and grading. The diagram section of the lessons are often visual activities or games to reinforce the topic, while the vocabulary shows the definitions of important terms along with clickable links to hear the words spoken for proper pronunciation. Standard Deviants Accelerate uses separate student and teacher accounts which isolate the students from any grading issues and allow the teachers the ability to make alterations to the course rubrics and grades. Students do have the ability to see their current progress, but teachers have a good deal more tools to assess and analyze student performance. From the teacher accounts students accounts are created and assigned to courses. The teacher sections allow for checking the progress of the students and grading written work compared to the default rubric or a custom rubric. The progress reports not only detail grades per assignment, but also have quick alert flags to notify you of any grades that are below an acceptable level. This saves time when looking through for trouble areas. When given access to my teacher's account, right away I created a student account for Amber and enrolled her in nutrition. The wording on the website can make it sound like you are joining a group class, but unless you have multiple children you are enrolling in the same course (which is possible) it's not even close. Even with multiple children in the same course, they will be taking it individually at their own pace. The self set pace is definitely a feature we enjoyed. Amber wasn't required to finish specific lessons on a schedule, but could go at her own speed through any courses we found useful. However, overall we found the site a bit confusing to use. It took us quite a while to get a handle on both the student and teacher aspects of SDA. I'm still not entirely sure about the accuracy of the grades I see, and the although Amber is allowed to retake any quiz she wants, it doesn't seem to store any score except the original quiz. This was quite frustrating for Amber, especially since she took the first couple of quizzes before we figured the entire site out. Now that we have a better understanding of how the entire SDA website works, we are enjoying the lessons a bit more. Amber has also branched out into the U.S. History course. For us, SDA an easy way to supplement current lessons on less than perfect health days, but we don't see it as a primary education source. 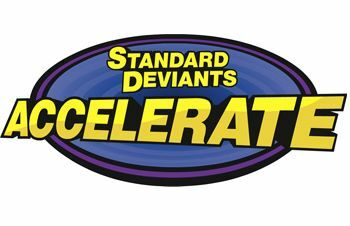 Visit other members of the Review Crew to read more about Standard Deviants Accelerate!